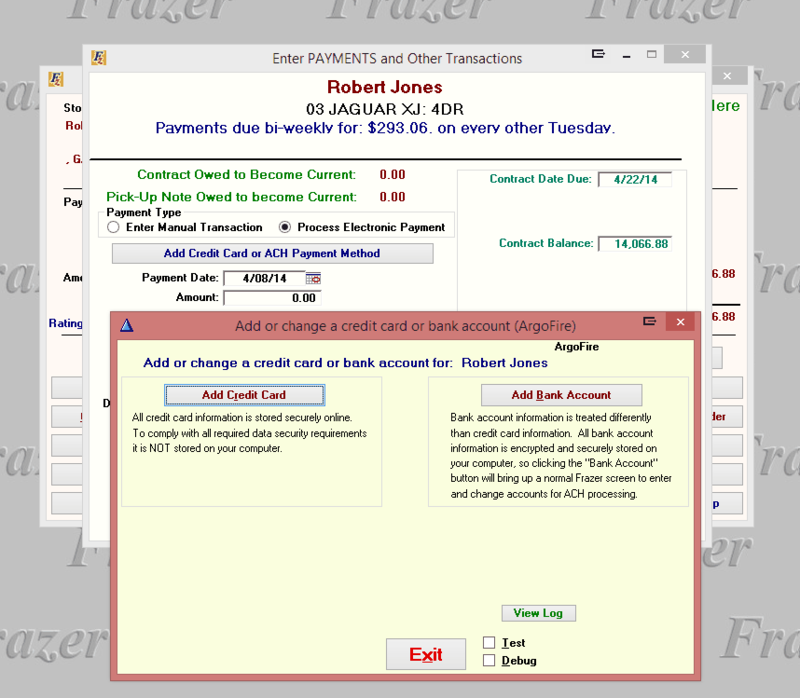 The Frazer system allows for the processing of electronic payments automatically as they are entered into the Frazer system. 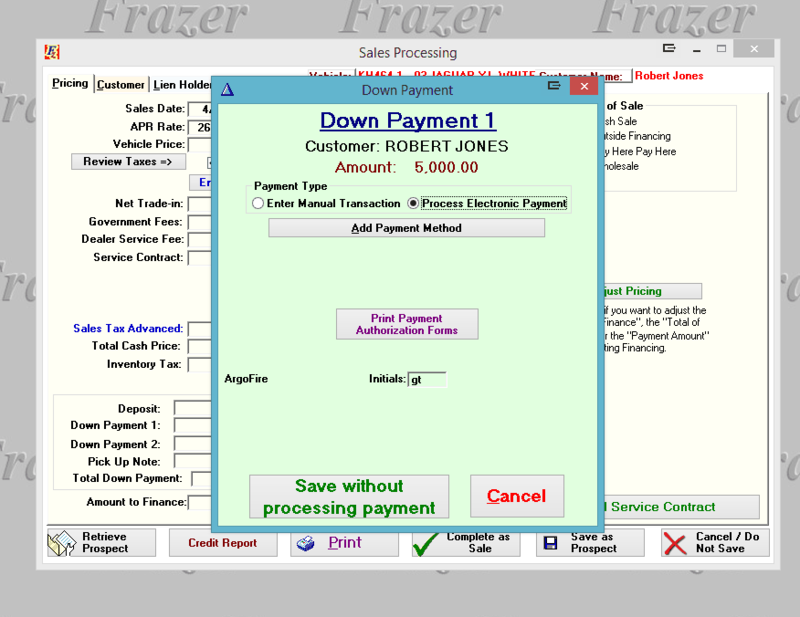 In order to do this you must first establish an account with one of the three payment processing partners integrated with Frazer. Information regarding these three processing companies can be found by going to the miscellaneous link and then selecting the “1-Systems Options” option. 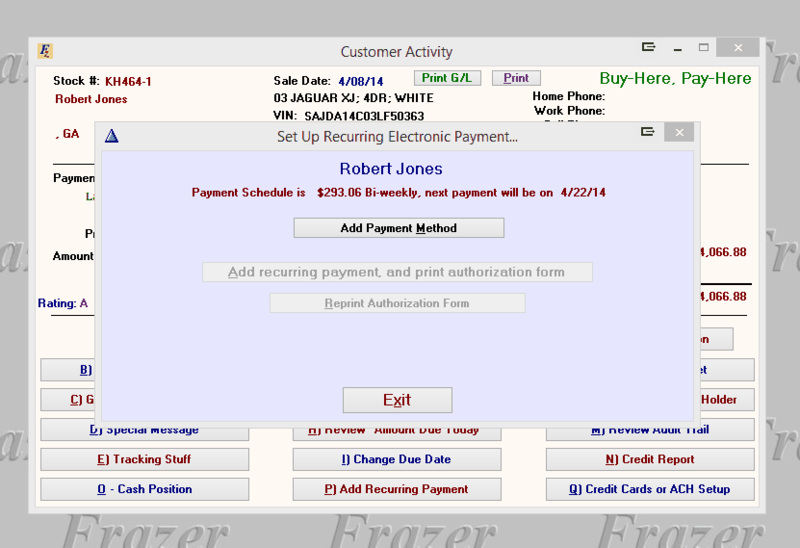 Once click the button in the lower right hand side labeled “Electronic Payment Processing Setup”. The first time you open this screen you will be provided with three buttons each linking to one of the processors website where you can find more information including how to contact them to set up an account if you so choose. 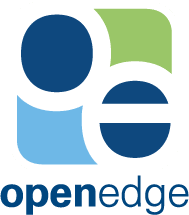 Each company has their own pricing and policies so it is best to see which one is going to be the best fit for you. You can also reach this screen by clicking on "Q-Credit Card or ACH Set up" in the customer activity screen or by clicking on the "Customers" link and then "7 - Electronic Payments" and then clicking the "Setup or Learn More" button.